Many long time low carbers are very familiar with the Mock Danish. 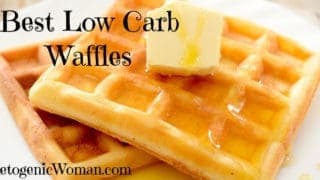 It’s an old standard and almost every low carb blog out there has this recipe in their files. 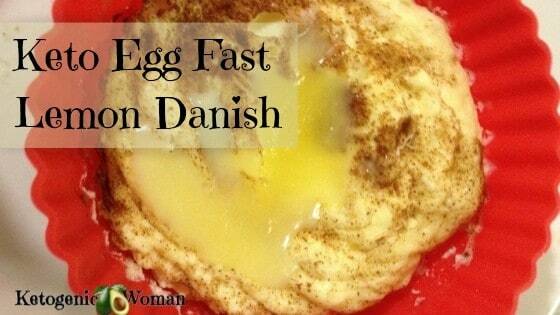 All I’ve done to the original mock danish is add my own little lemon twist to it while still keeping it egg fast friendly! 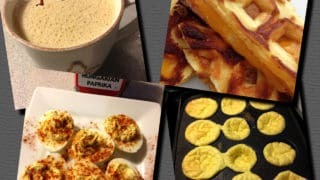 If you are tired of boiled, scrambled, poached and deviled eggs and need a boost to your egg fast, this egg fast recipe will perk you up for sure! I do prefer to avoid sweeteners as much as possible, but with this Lemon Filled Danish I used stevia to taste. 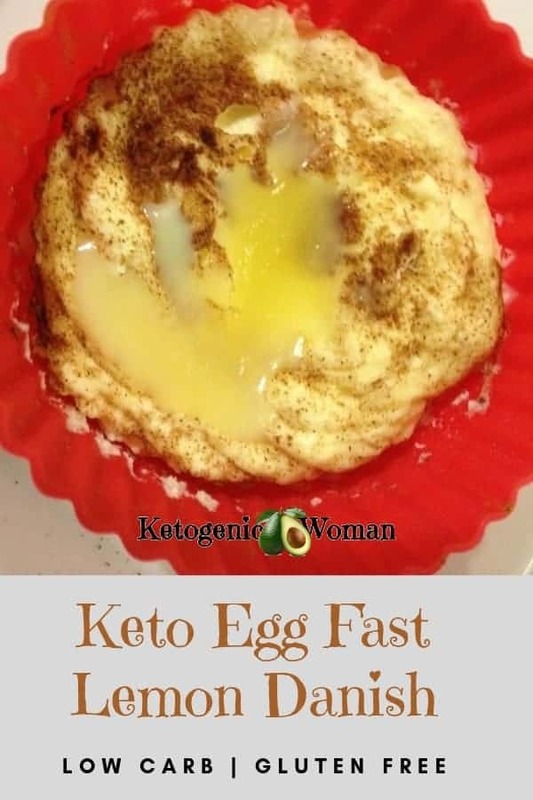 On the egg fast it is better to use a liquid stevia like this one . In a small microwavable bowl, soften the cream cheese for 30 to 60 seconds depending on your microwave. Stir with fork until very creamy. Add eggs and beat well until well combined. Add stevia to taste. Put on plate and microwave, checking every 20-30 seconds until done. While still warm, make a little well in the middle. Place in the fridge to cool. 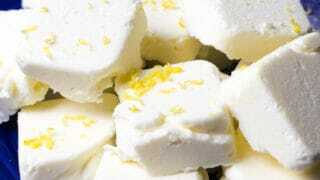 Add lemon extract and stevia to taste. Once the lemon filling cools down (it will no longer be clear, it will start to look yellow) spoon it into the center of the 2 danishes. Put back in the fridge until cooled. 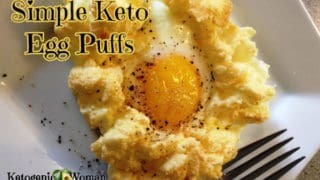 For the purposes of the keto egg fast, each Danish will count as 1 egg, 1 cheese and 1 fat. 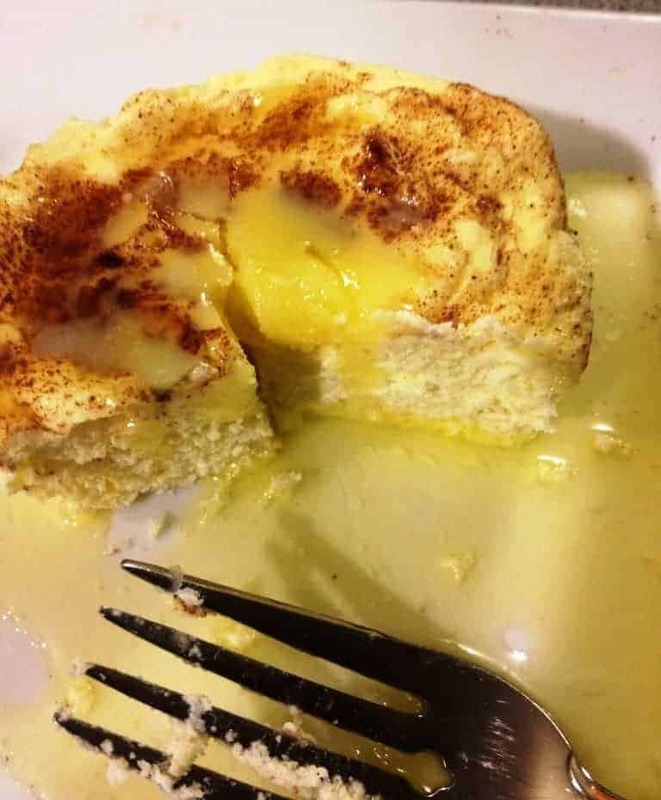 If you have not used up all your fat for the day, you could do what I did in this photo, which is double the topping recipe and spoon 1/2 in the center and the other half of the buttery lemon sauce over the Danish and really make this a decadent egg fast recipe! Learn more about the Egg Fast Stall Breaker in this article. 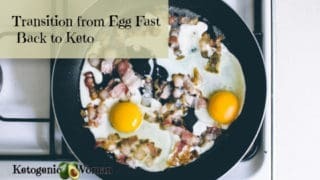 See my 4 week Egg Fast Diet results in this article. 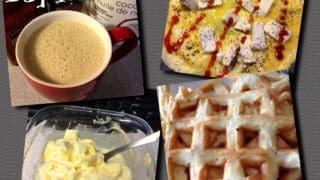 Egg Fast Tracker App: This is a free app for Android that helps you keep track of your Egg to Fats ratios, plus your water and cheese consumption. 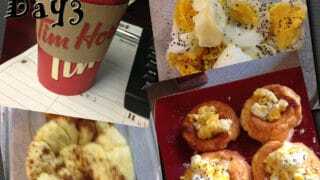 Install the Egg Fast Tracker app here. 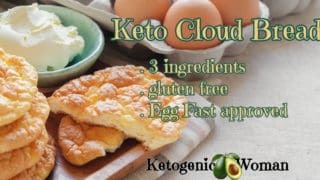 Save this Keto Lemon Danish Recipe to Pinterest! 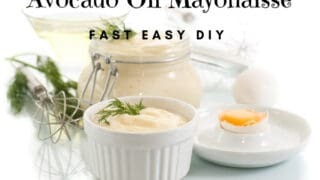 Tagged boiled egg diet, egg diet menu, egg diet weight loss, egg only diet, low carb breakfast recipes, mock danish recipe. Bookmark the permalink. This comment is totally a hack of mine but to bump up the lemon flavor I like to use the a packet of True Lemon. 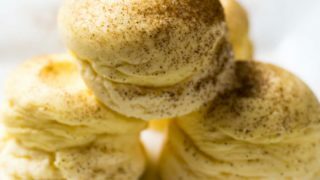 It makes this recipe really shine in my book! LOL! I think it’s an excellent idea! 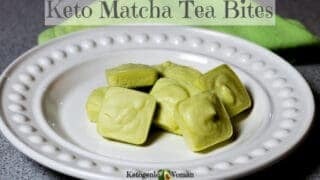 I wrote this recipe before I found out about those amazing True Lemon packets, so that’s why they didn’t get used for this one. I use them anytime I need Lemon now! Thanks for the reminder, I think I’ll add a suggestion up there in the post. Can you use lemon juice instead? Doesn’t extract have sugar alcohols? No because it would be too much liquid for the filling. 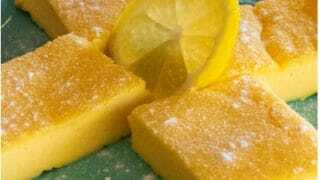 Use lemon zest instead if you don’t want to use the extract. 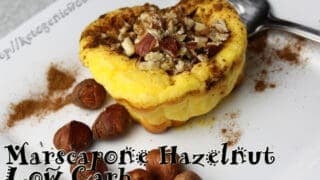 Where is this used in the recipe? It’s in the ingredient list, but not in the actual instructions. 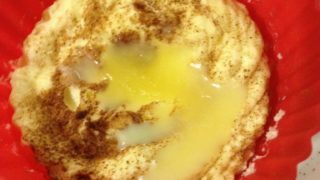 I am guessing it should have been mixed into the cream cheese/egg mixture before microwaving? Yes that is exactly where they are used! Unfortunately I learned to cook from my mother who never used recipes, it was always a little of this and little of that until it seemed right 🙂 Thanks for pointing it out, I’ll make a change so it’s more clear. 1) Can I eat Miracle Noodles as a filler since there are no calories or carbs in them? 2) I use EZ sweetz as a sweetener even though I know a lot of people do not use sweeteners at all, all the research I’ve done says it does not include carbs and I absolutely hate the taste of Stevia, is EZ sweetz a viable substitution or will it impede weight loss? You can have up to 3 sweeteners a day in total, EZ sweet is fine instead of Stevia. Miracle noodles are a no, there really truly is nothing on the egg fast except for eggs, butter and cheese! Good luck! Do these keep well? 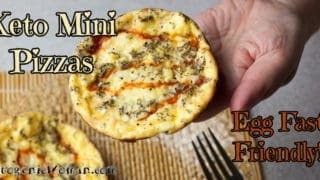 Could I prep a couple ahead of time and store in the fridge? Yes, they would be fine for a few days. Have these cooling in fridge and can’t wait to eat. Have a question. why does each Danish count as 1 cheese if there are 2 oz cream cheese in each one? You are so sharp and caught my error! It is supposed to be 4 tbsp cream cheese. 2 tbsp weighs 1 ounce. Accckkk! Thanks, I am changing it now.